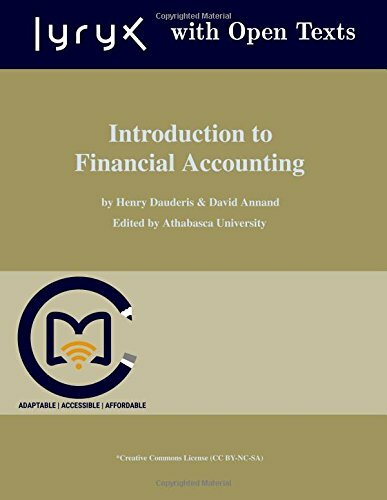 This text is intended for a first course in introductory financial accounting. It was updated to reflect current International Financial Reporting Standards (IFRS). It focuses on core Introductory Financial Accounting topics that match pre-requisite requirements for students advancing to Intermediate Financial Accounting. This book is aimed squarely at the new learning styles evident in today's students and addresses accounting industry changes as well. In addition, realistic managerial scenarios present an issue that must be addressed by the management accountant. It is obvious that the accountant has no time for algebraic studies. To prepare a book for those who have not had these advantages and who nevertheless are promising students, all the work must be reduced to a basis of arithmetic and common sense. This popular book has helped thousands of people to learn book-keeping. It explains the principles of book-keeping, the bank reconciliation, extracting a trial balance, accruals and prepayments, accounting for VAT, setting up a Limited Company, etc. Contents: Financial Reporting Concepts; Earnings per Share, Price Earnings Ratios, Book Value per Share and Dividend Rates; The Development of Gap; Key Assumptions; Global Accounting Issues; Financial Analysis and the Statement of Cash Flows; etc.